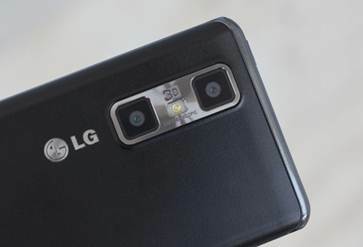 The ability to record videos and take photos that are floating with integrated dual camera is one of interesting 3D features in LG products. 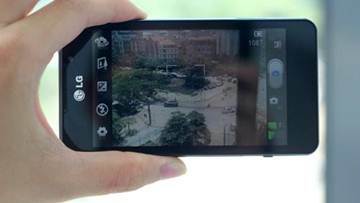 Optimus 3D owns dual camera system with 5-megapixel resolution, which supports taking photos with 3 megapixel resolution. Compared with the model last year, the ability to capture 3D photos on 3D Max is better and able to boot faster. Taking 3D photos and 3D video recording interfaces are completely similar to 2D with custom specifications, shooting modes or brightness. Noticeably, 3D feature LG provides also allows users to adjust the depth and buoyancy of images 3D when they are processed by 3D camera. 3D effects from images or videos made by Optimus 3D are in high-quality and users are easy to see placement effect of objects in images or videos. 3D Max is famous for taking 3D photos and recording 3D videos but its normal photo taking is not really outstanding. With still photos, to achieve the best 3D performance, users should choose to capture the most outstanding object at the center. The optimal distance from the object to the phone is 30 – 50 cm. Then the taken photo will offer the clearest 3D effect. Users can not only make 3D photos via dual camera but also directly convert 2D pictures to 3D simulator photos. Nonetheless, 3D effects of these photos only reach 70% compared with a picture taken by a 3D camera. However, quality of images in 2D mode of LG Optimus 3D Max doesn’t leave big impression. Colors are not realistic, easy to be dazzled and not as attractive as some 5 megapixel models on the market such as One V, Galaxy Nexus…though the images are sharp in sufficient light condition. After being created, 3D products are not only performed on 3D phone screen but also enjoyed through HDMI or DLNA connection to broadcast directly to 3D TV. 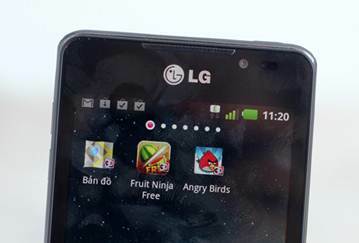 Even 3D mobile phone of LG is also integrated to Youtube 3D videos, which allows uploading 3D videos made on the phone and sharing with friends. Optimus 3D Max has added feature to convert 2D to 3D application on the phone. 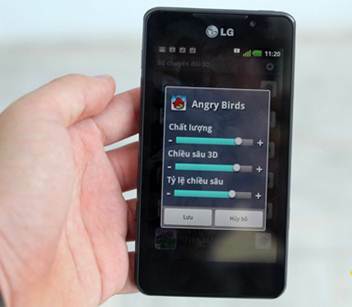 Last year, 3D model of LG was complained that it had less included 3D applications. 3D Max is a big change. Computer feature that LG has just added to the product is “3D converter”. With any 2D application, even applications available on the phone or ones of third parties installed, 3D Max can convert them into 3D application in only several seconds. Users can adjust quality, performance or depth rate of 3D products made by the phone. Each 3D application after being made is able to adjust its quality, depth and depth rate itself. In fact, this is a very effective solution for 3D players. When we experimented with games such as Fruit Ninja or Angry Birds converted from 2D to 3D, floating effects were shown sharply from the depth to buoyancy. With Android 2.3, 3D Max is a perfect smartphone for entertainment and work demands. Users can set the calendar, take notes, check mail, and edit text with gadgets LG offers. The phone comes with full entertainment features with the function of listening to music and watching multi-format videos. Compared with the original interface from Google, Optimus 3D Max has been refreshed about the interface with customs and options from the Korean mobile phone brand to work more conveniently. Virtual keyboard with large keys helps enter data more quickly. Some new widgets integrated allow users to update information quickly from social networks and friends, or access immediately to applications to save searching time. 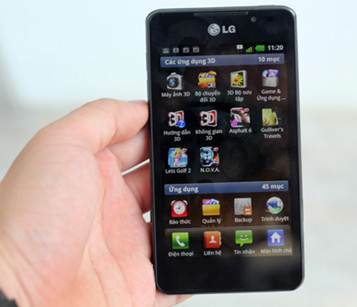 LG Optimus 3D Max operates smoothly though performance via software is not impressive. 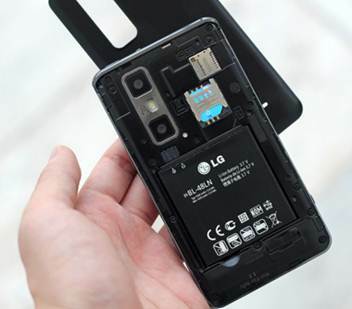 LG is the first manufacturer who uses Tri-Dual structure combining with three different dual-core technologies: dual-core processor, dual RAM and dual transmission channel, so it can eliminate “bottleneck” data and increase efficiency in using the phone. In Optimus 3D Max, LG equips it with dual-core Ti Omap processor at 1.2GHz which is higher than the model of previous year and doubled RAM with 1GB of RAM. Thus, the ability to process actually of 3D Max is smooth; multitasking phone is effective while manipulating 3D features are very quick. To start dual camera as well as take a photo, it takes only 1 – 2 seconds. Users can open multiple applications simultaneously. Experiments showed that the product was not lagged or crashed when users open 10 applications at the same time, including high 3D graphic games such as Asphalt 6 HD. Despite smooth performance and good experiment, performance mark of 3D Max through specific reviews is not high compared with dual-core models which are available on the market. In Quadrant Standard Benchmark, overall evaluation software, 3D Max has the same mark with the model of last year. Graphic evaluation software, NenaMark 2 offers 25.8 FPS, an average point. 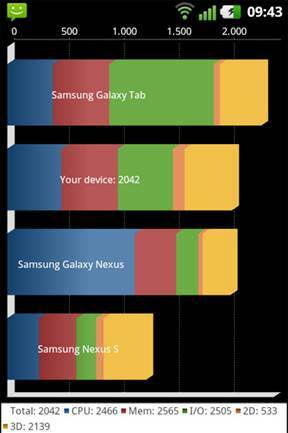 In contrast to 1.520 mAh battery capacity, Optimus 3D Max doesn’t have impressive battery duration. The large screen and 3D displaying technology without glasses spend much energy. The phone allows operating in 3G mode during a working day, from 8am to 9, 10 pm if users use it normally, less calling and access to the internet about 15 – 20 minutes. The phone has 1.520 mAh battery. To use longer than 2 days, users have to turn the phone to 2G mode when not in use, turn off Wi-Fi, GPS connection and automatic sync mode.